Don’t be deterred by the suburban strip mall location. 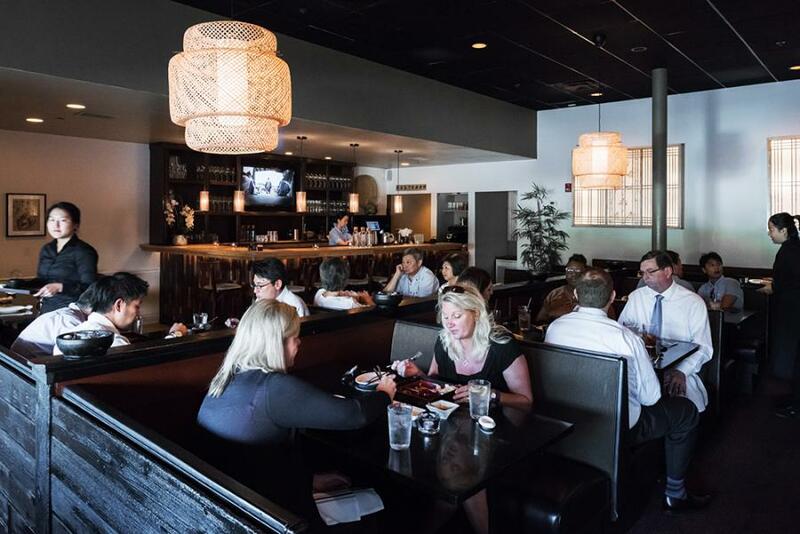 Cozy booth seating offers comfort, and a custom bar built by chef-owner Sung Jun Oh’s buddy Jimmy Gibson adds homespun flair to Dolsot Bistro. Oh is a restaurant veteran (he owns Sung’s Korean Bistro downtown), but also a resident of Blue Ash, hence the additional location. Start by warming up with a pot of corn tea or dakgyejang, a chicken-based soup teeming with vegetables and sweet potato “glass” noodles swimming in the hearty broth. 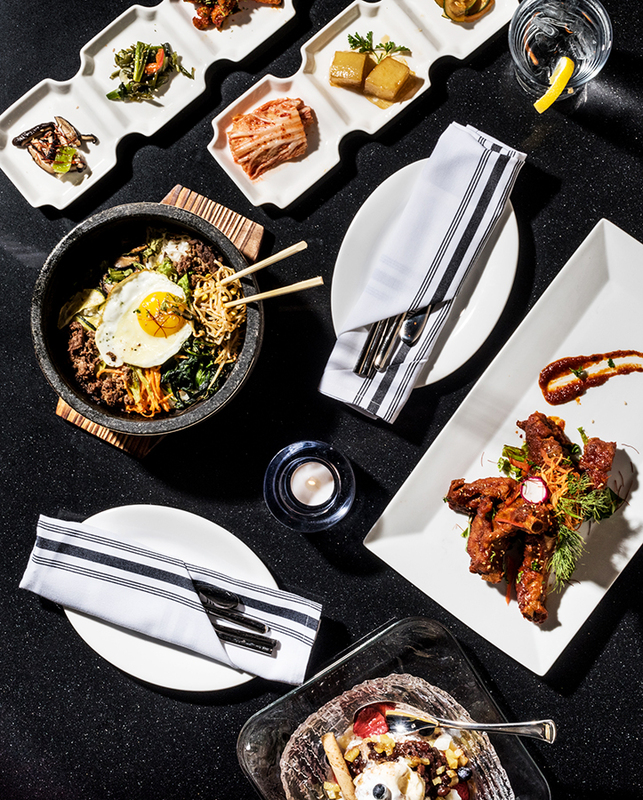 Chase it with kimchi pajun, a tasty pancake of vegetables and spicy kimchi enveloped in an egg and wheat flour batter, or bibim yachae, a deliciously perplexing salad that layers lettuce, boiled egg, Asian pear, and red pepper threads, all drizzled with a spicy vinaigrette. 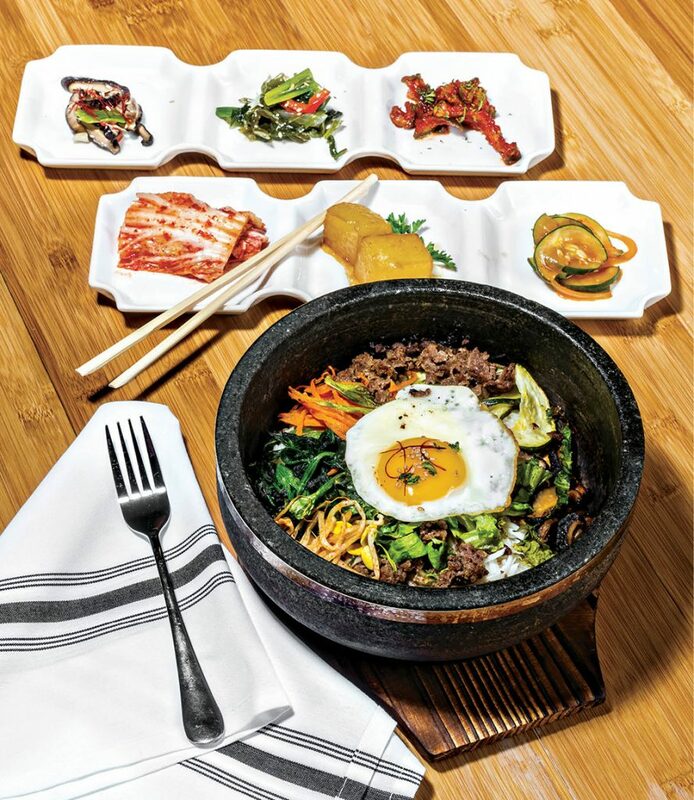 In the mood for Korean comfort food? Jab chae to the rescue. Slippery, stir-fried sweet potato noodles mingle with cabbage, onion, zucchini, and bell peppers in a rich sesame sauce. The house specialty are the dolsot dinners, bowls of rice, seasoned vegetables, egg, and your choice of pork, beef, chicken, or tofu, cooked tableside in stone bowls heated to 400 degrees (dolsot means “stone pot”). 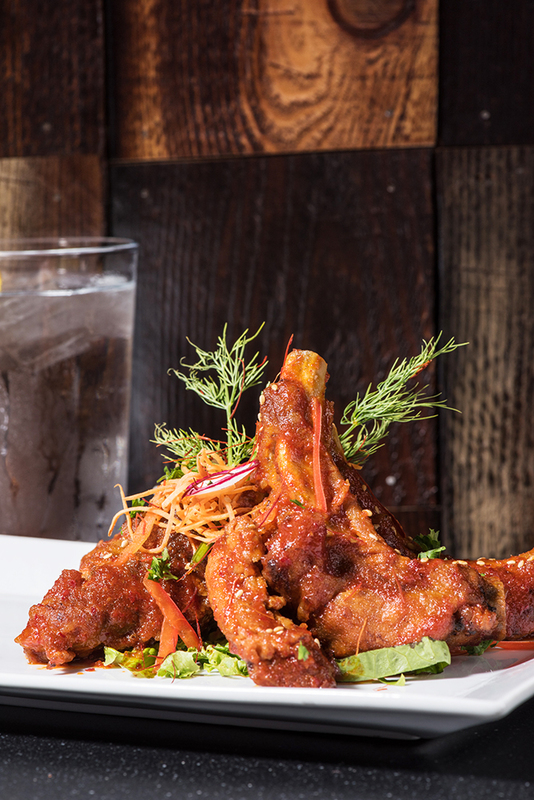 Highly recommended: doeji galbi, grilled baby back pork ribs coated in tangy chili soybean paste. 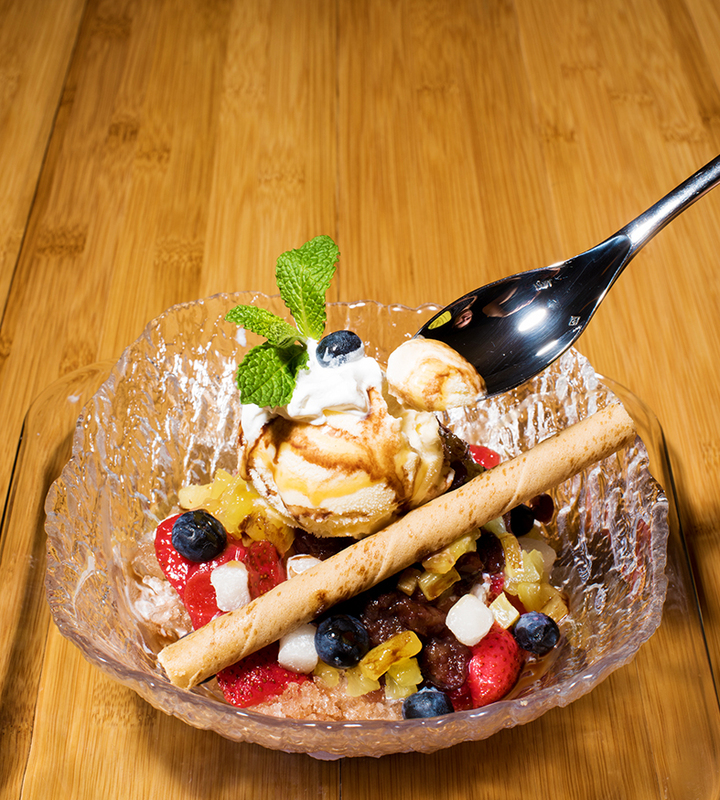 Adventurous sweet tooths should finish with the pat bing su, a traditional Korean dessert of shaved ice and condensed milk decorated with fruit, jelly candy, and sweetened azuki beans topped with a scoop of vanilla ice cream. 5893 Pfeiffer Rd., Blue Ash, (513) 832-1907. Lunch and dinner Mon-Sat.